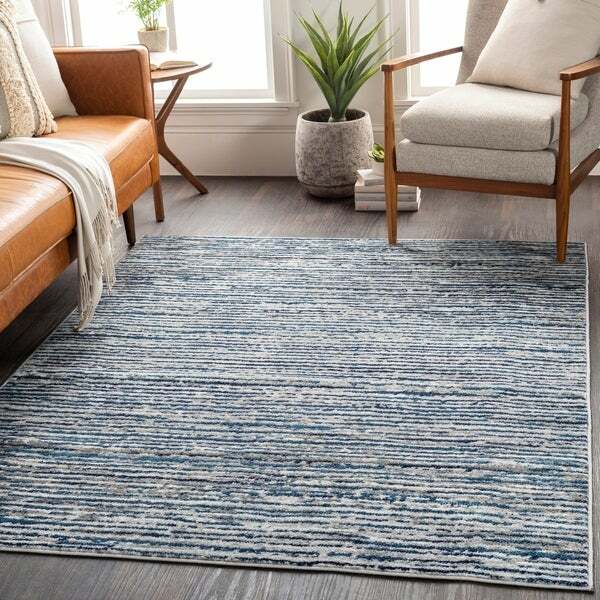 Establish a cool minimalist vibe with this Albi area rug sporting a sleek contemporary stripe pattern. The polypropylene construction makes maintenance simple, and the low pile balances sturdy support with underfoot comfort. Dimensions 108.0 In. X 79.0 In. X 0.32 In. Safavieh Madison Vintage Boho Medallion Turquoise/ Ivory Rug - 6'-7" X 9'-2"
Safavieh Amsterdam Ivory / Mauve Rug - 6'-7" X 9'-2"